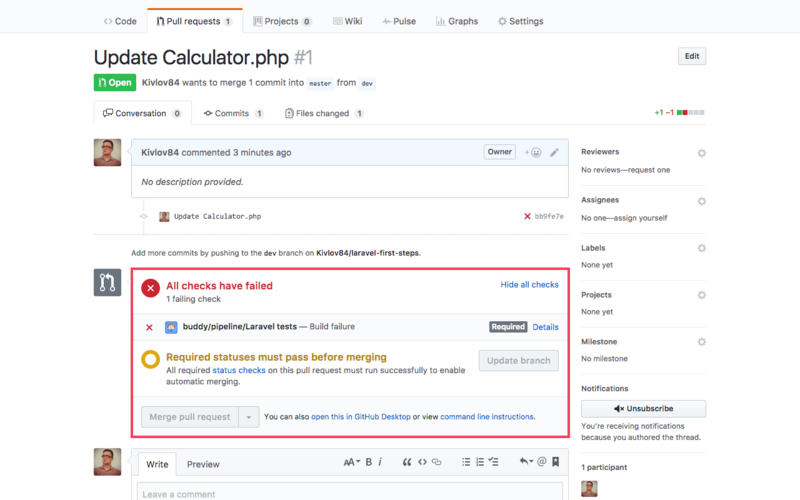 In this guide we’ll show you how to secure yourself from merging errors in your GitHub projects with help of BuddyWorks testing features. Git and its branches are one of the best inventions since sliced bread (well, at least for developers). Employing branches, gitflow and pull requests to development workflow is a great way to ensure code quality. 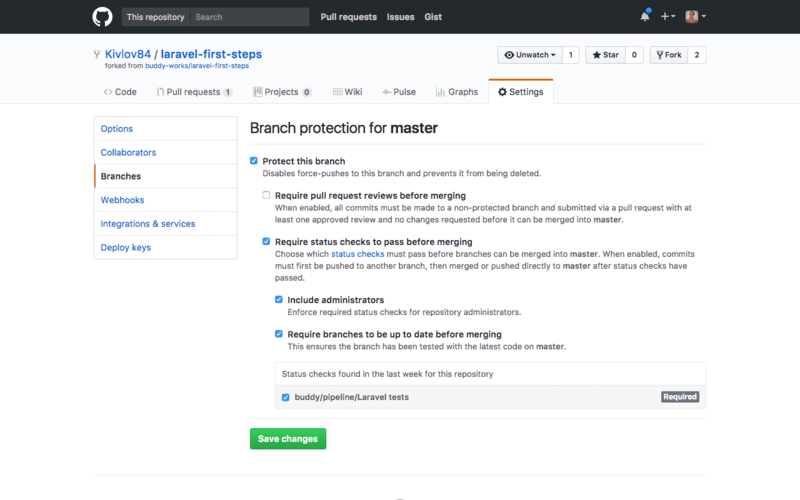 In short, Gitflow is a type of workflow in which all new features and bug fixes are made on dedicated branches; only when the branch is tested it can be merged to the master branch. You can read more about various types of Git workflows here. However, no matter how experienced and thorough the Senior Dev is (the coffee wears off, eventually! ), such approach doesn’t guarantee the code is free of errors. The principle rule of Continuous Integration says that all changes to code need to be tested before they can be merged to the master branch. Regardless if you use Test, Behavior or Domain Driven Development, writing tests for your application before deploying it to your client is extremely important. Let’s begin with creating a pipeline that will automatically test all changes pushed to your repository. Go to https://buddy.works, sign up with your GitHub profile, and select the forked repository for the first project. Create a new pipeline and set the trigger mode to On every push. Assign the branch to Wildcard pattern and set it to *. Add the PHPUnit action that will run the tests. Ooops! We did - we broke the app. If you fire up the list of commits in GitHub, you’ll see that the commit status says Failed, too. Increase code protection now and secure yourself from merging errors on GitHub.